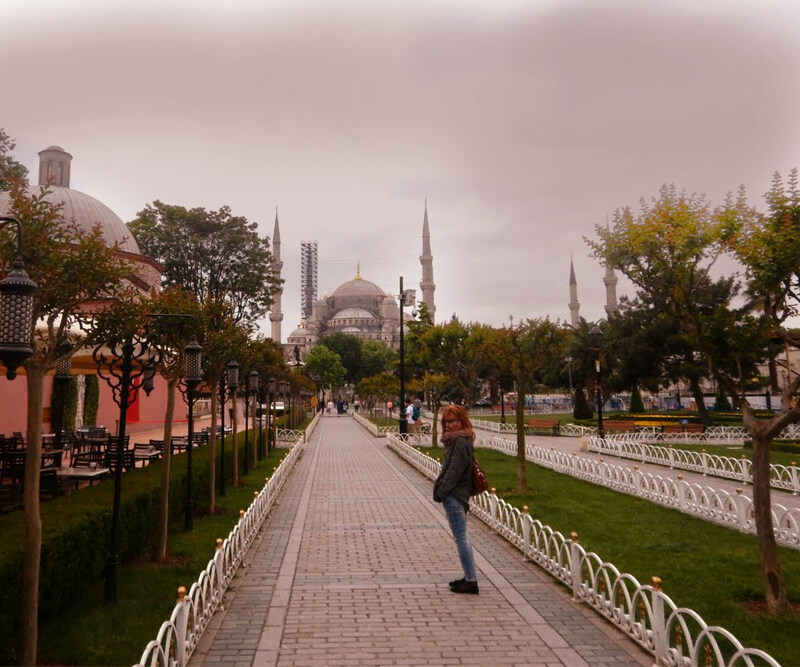 5 days in Istanbul with Dad were SOOO good! There's too much different stories, so I'd just show some picture without many words, d'accord? 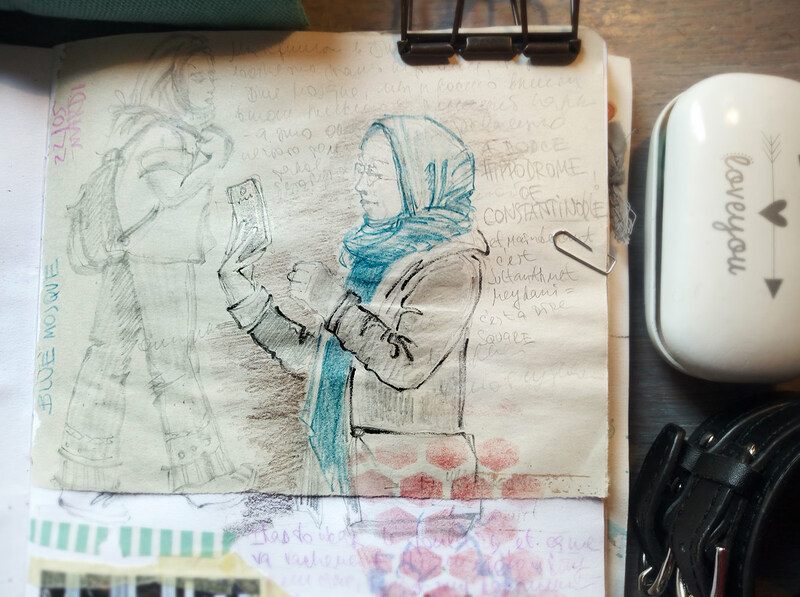 And since I took my carnet there, I made some quick sketches right on place to catch a moment directly. And there was a VERY determinated CAT! Well, all mosques are somehow the same for me )), normally I cannot see too much difference between them -- but it goes when you start the draw it. Then the details speak. and I'll be back with some other pages again! A really interesting art journal page. Your paintings are beautiful and expressive. How lovely cat you met, it looks to love you! 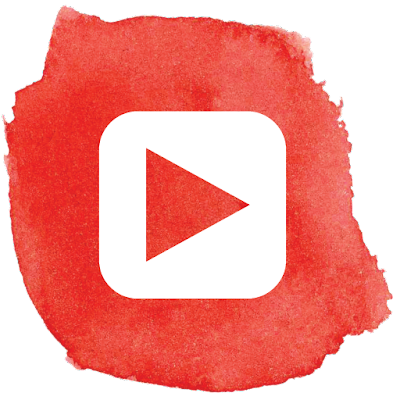 Thank you for showing the wonder video, too. Lovely work, Istanbul is fantastic! 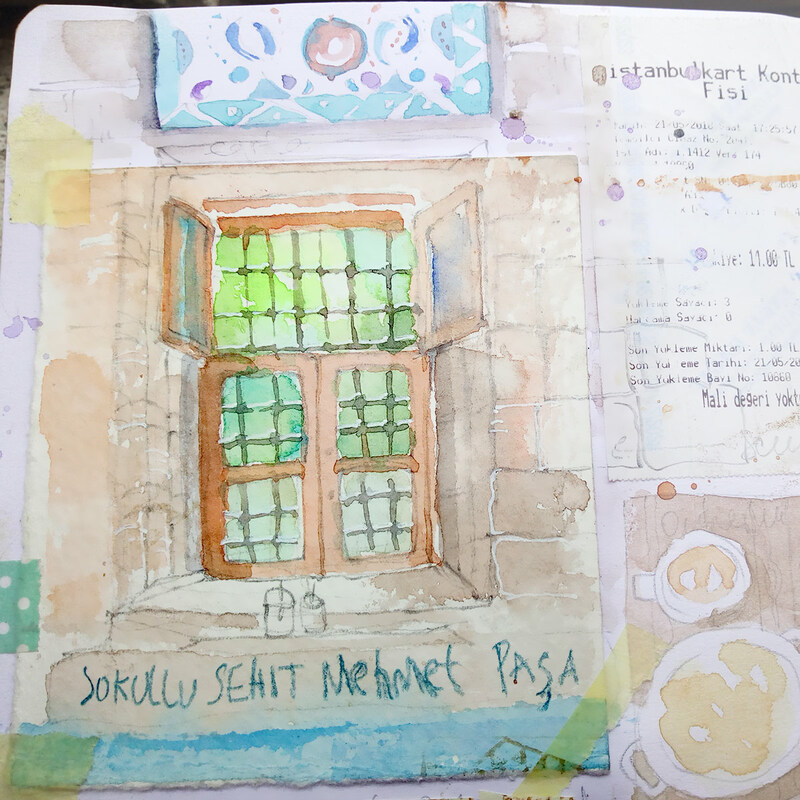 Love your paintings, the blue mosque is fantastic and I just love the school window! 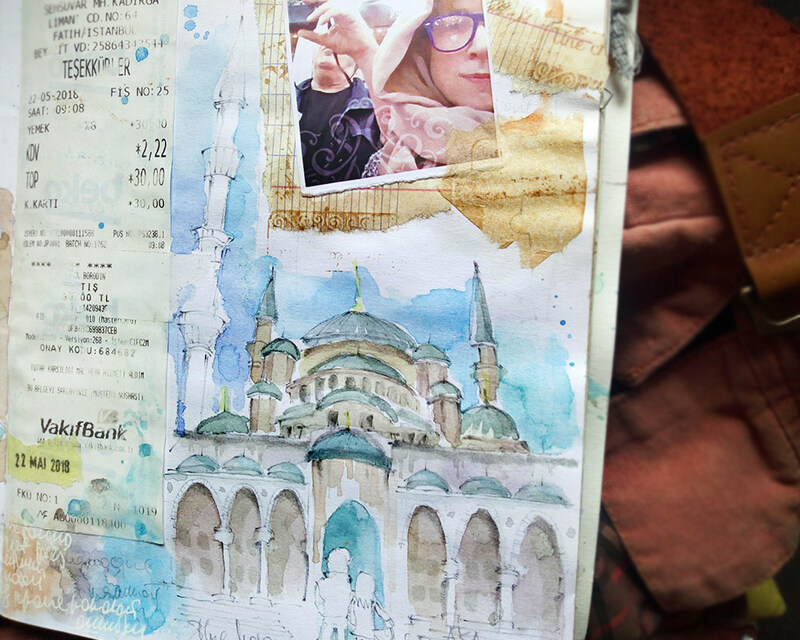 Love your travel journal pages Erica, and Istanbul looks like such a beautiful place to visit-gorgeous mosques! Le chat must know you like him:):) I'm surprised by the way you're dressed - I would have thought it to be much warmer. happy PPF! 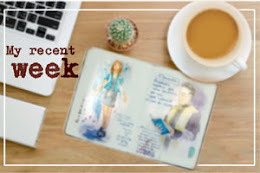 I always love reading your blog. Your life seems so exotic for someone like me in the USA. I feel like I learn so much from your travels. 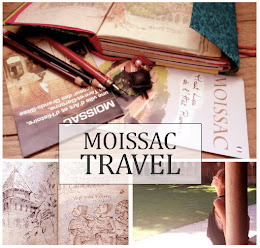 I love your water colours and travel journal and how wonderful to go travelling with your dad as well. Very special. 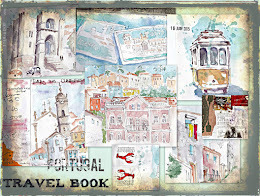 Wow- such an amazing travel journal! What a wonderful adventure. Fantastic art and wonderful photos. Thank you so much all and everybody!! Your paintings are simply wonderful Erica! 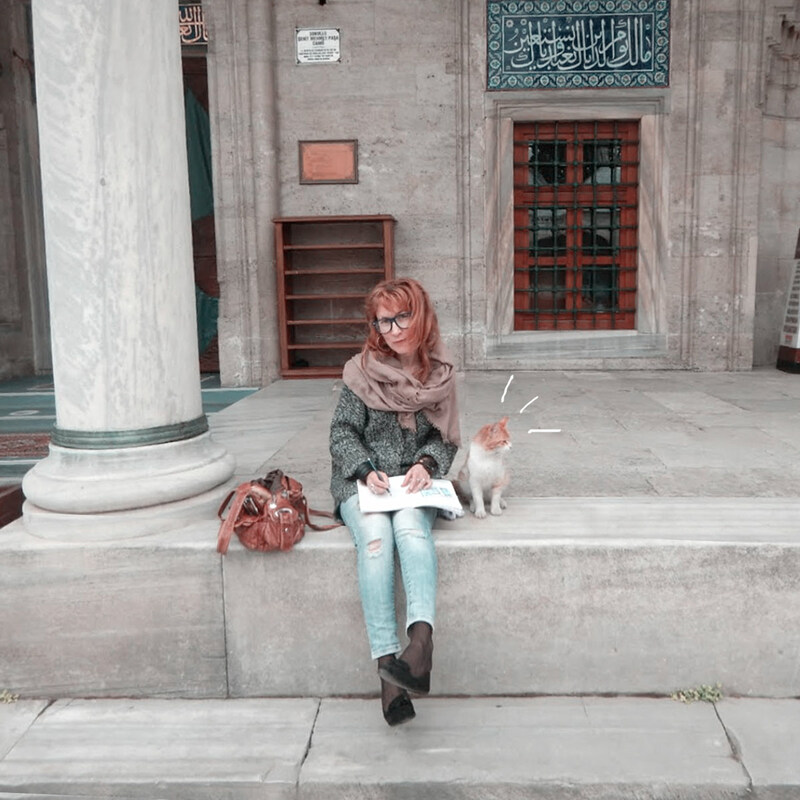 I love your Istanbul moments ! Brings wonderful memories to me! 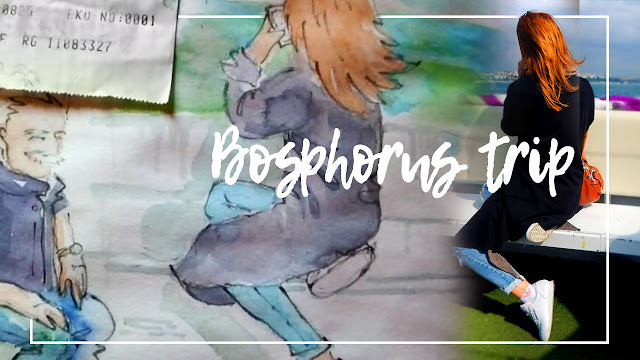 Thank you for joining us at Art Journal Journey! 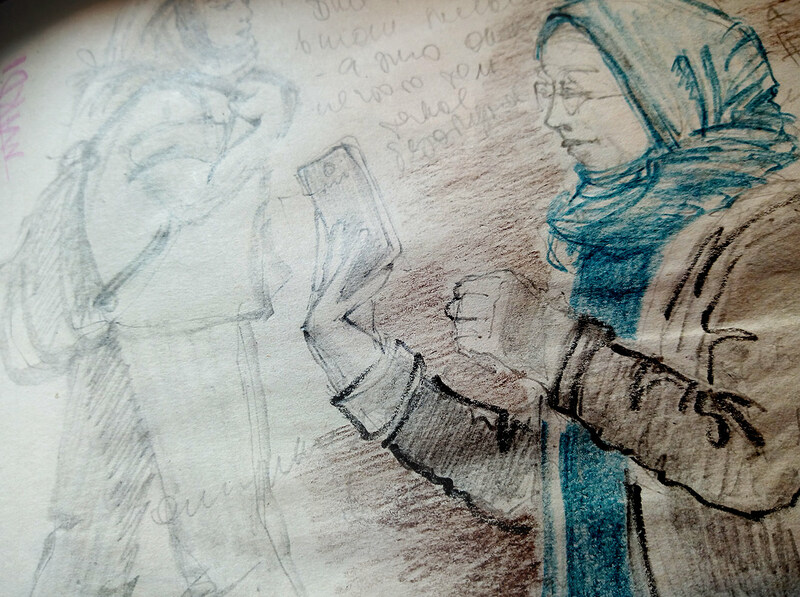 I was truly impressed with your Istanbul moments. Your watercolors always astound me. I was also pleased to see you were SO KIND to that insistent cat. That made me happy. 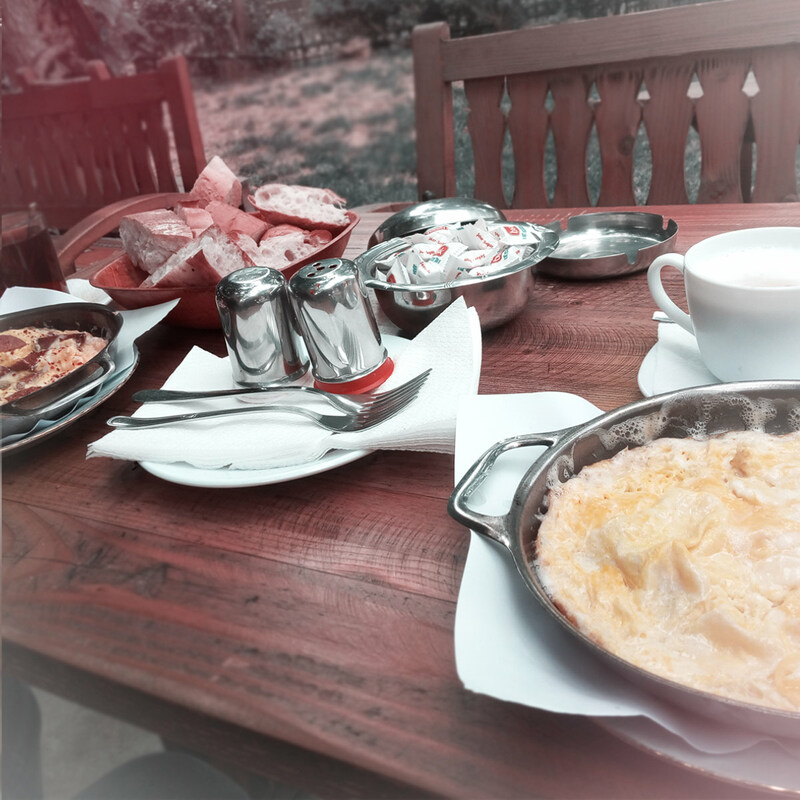 Your breakfast looks lovely and I enjoyed seeing it from both your drawn and photographed perspective. 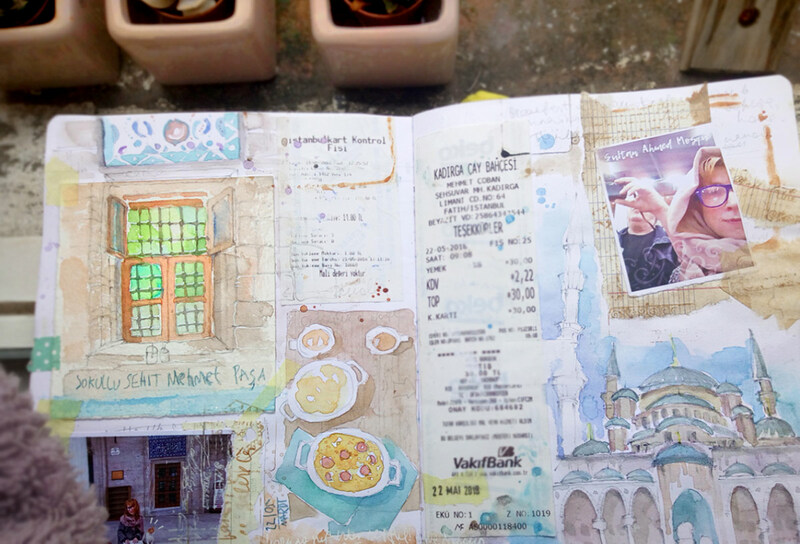 Thank you for sharing this first entry this month at Art Journal Journey. 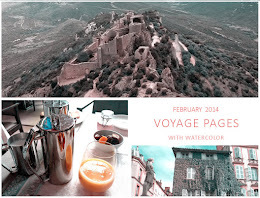 A fabulous post and wonderful water colour sketches in your travel journal. I enjoyed seeing your photos as well. What wonderful paintings. You caught the feeling of this place very well. What a talented artist you are. Your watercolors are wonderful, Erica. You captured some very special memories of Istanbul - almost like a photographer framing the perfect shot. I look forward to seeing more of your art at our T-parties. Erica, we are actually DELIGHTED to have you join us for T Stands For Tuesday. 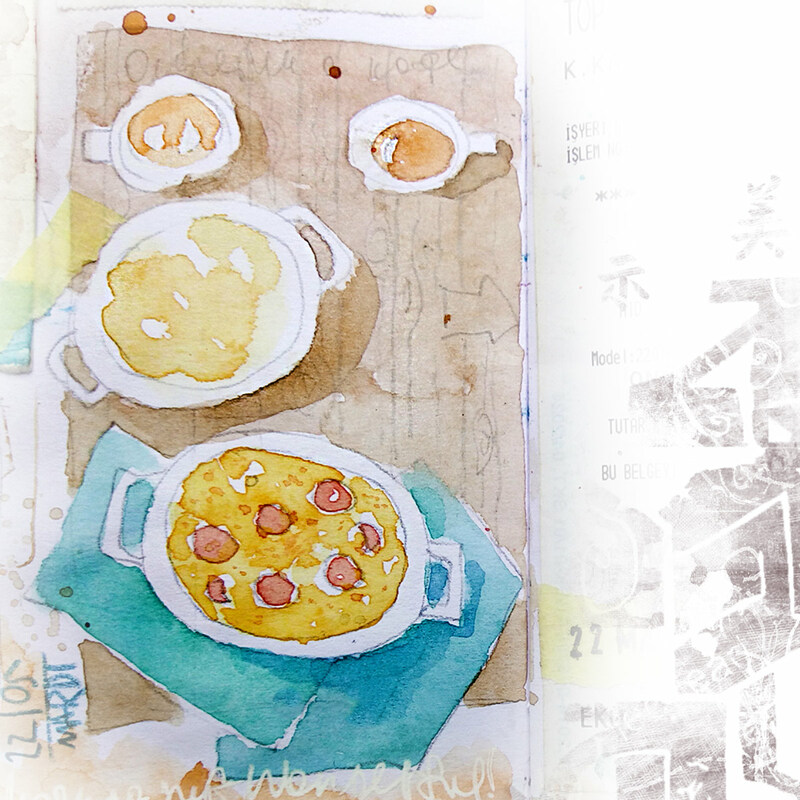 Your breakfast coffee certainly fits the bill, and whether it's the beauty of the watercolor painting or the accuracy of the photo, it is a PERFECT first entry. We definitely welcome you into our little T group, and thank you for sharing this with us for T this Tuesday. Good to see you for T Day- lovely paintings! 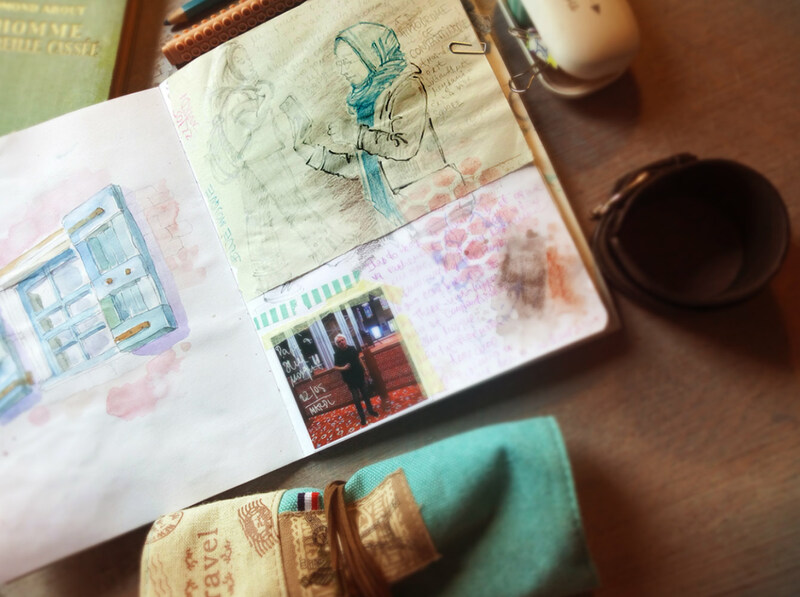 Gorgeous photos, and love your journal pages! Happy belated T Day! 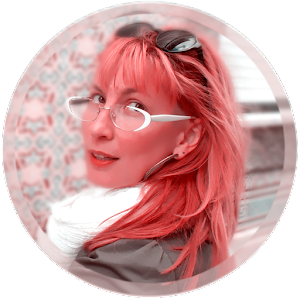 Merci beaucoup you all a lot ! Beautiful images... and a beautiful time for you. Sweet! All of these pages are fantastic!!! I am mesmerized by your work!